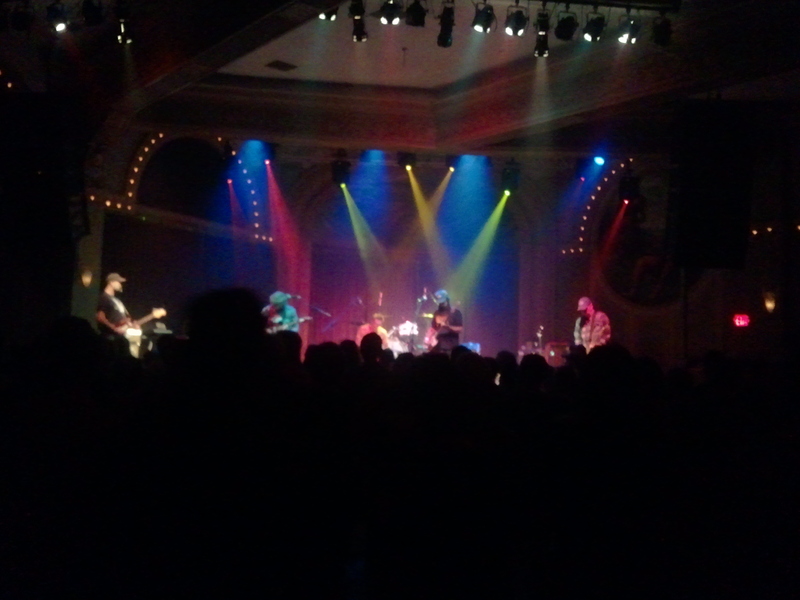 Built to Spill returned to their home-away-from-home last week, playing a two-night stand at the Wonder Ballroom in Portland. We caught the band on the second night as they were finishing up their tour in support of their most recent album, the excellent Untethered Moon. If the band felt weary after months on the road, they certainly did not show it on Thursday night, as the group played an energetic set that covered just about every part of their vast catalog, including a couple of surprise additions as well. 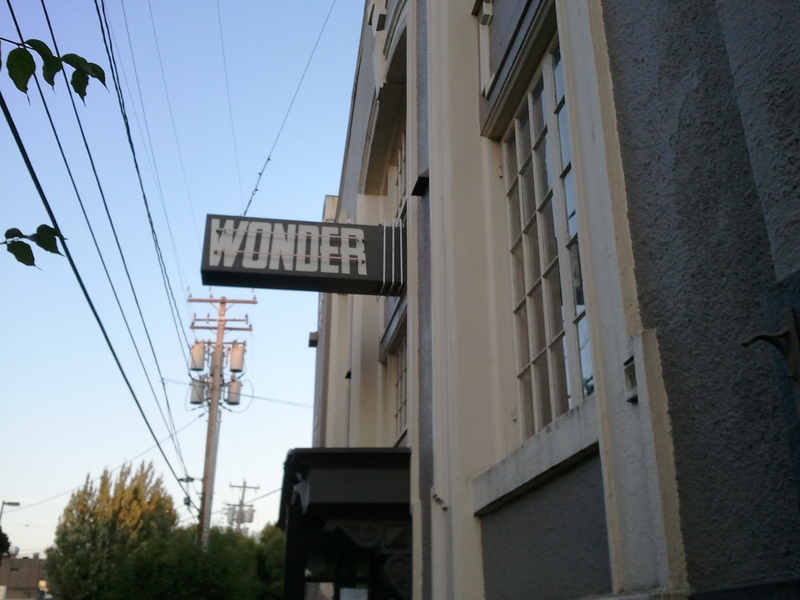 Outside the Wonder, with that late Oregon summer sunset. 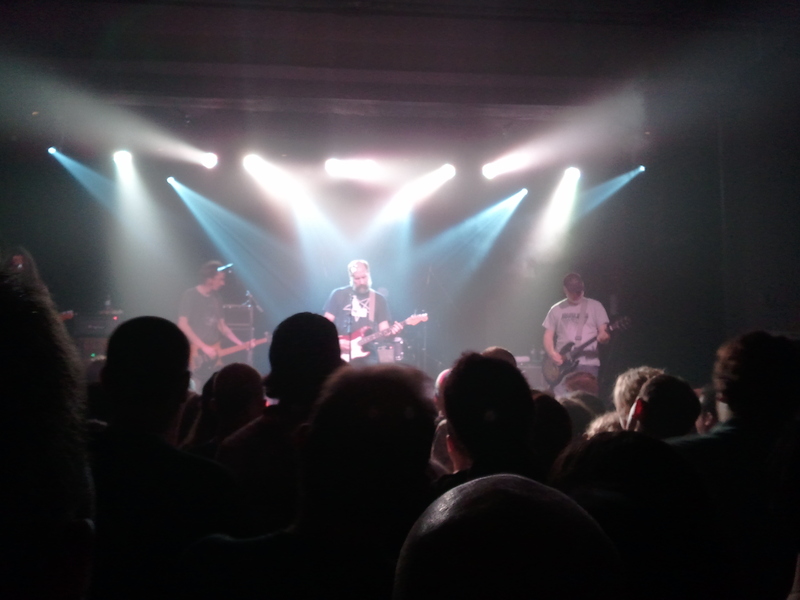 The show got off to a raucous start with Keep It Like A Secret opener “The Plan”, with the crowd immediately going nuts as soon as the opening chords were strummed. We were lucky enough to have a great view of the full band, and were able to enjoy seeing guitarist Jim Roth’s dissonant slide-work create the song’s memorable solo. From then on the band mixed in new material with old classics, and the crowd greeted the recent stuff with nearly the same approval as their favorites; singles “Living Zoo” and “Never Be The Same” featured some of the group’s catchiest hooks, and “So” has the spirit of many of the band’s brilliant guitar work-outs, so they were natural fits into the group’s standard set. The band were able to seamlessly shift between different moods and tempos, such as when the group followed the mid-tempo ballad “Liar” with the raging “Pat”. It would not be a Built to Spill show without a couple of covers thrown into the mix, and the group obliged by including “Virginia Reel Around the Fountain” (a song that I keep forgetting is a cover because of its many appearances in a BTS show, from a side project that Doug Martsch did with Calvin Johnson of Beat Happening called The Halo Benders) and part of “Orion”, which took a few minutes for me to place since they started it off at about the halfway point. The band finished off the night with a rousing encore, first with the epic “Kicked It In The Sun” before rounding it out with early year favorites “Big Dipper” and “Stab”. Opener Honey Bucket did a good enough job keeping the early crowd entertained with their take on garage rock, and Genders was a solid second act. Their first song reminded me of post-punk revival in the vein of Interpol, especially with the way their bassist was making full use of the neck for counter-melodies, but the highlight for most of the crowd was their faithful cover of Mazzy Star’s classic “Fade Into You” (even if the guitarist decided that the song’s memorable leads could be mimicked without the use of a slide). 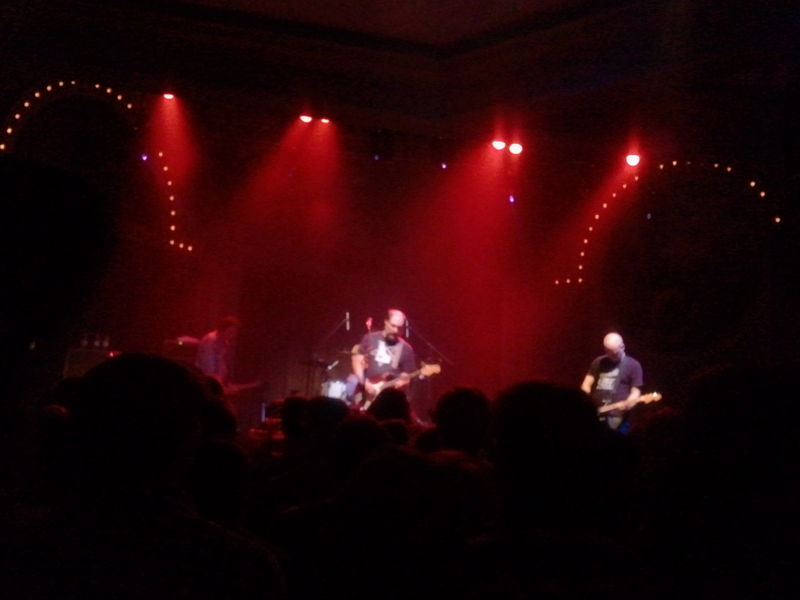 It was an intriguing counterbalance to the headlining act, but it is hard to overshadow Built to Spill when they are on top of their game. The sound mix overall was excellent, with all three guitar parts balanced perfectly, and the group actually integrated a fairly effective light show into their set. Overall, it was hard to find a better way to spend twenty dollars on a weeknight. Zuma is one of my favorite Neil Young albums, but there is one track that stands out clearly from the rest and is the major reason why most people have this record in their collections: “Cortez the Killer”. Even my mother, who is only a casual music fan and not really familiar with Young’s work, was compelled to remark about the song when she heard it for the first time, saying “that was beautiful.” The song is known for its epic guitar solos, but unlike the vast majority of songs with the same claim, the tempo never gets above an ambling pace. For over seven minutes, the audience is enraptured by gorgeous guitar lines that snake and wrap around the listener’s ears. It’s an amazing feat. Over the years, a lot of people who enjoy proving how smart they are, have taken aim at the lyrics and dismissed the song because of the historical inaccuracies. True, to say “and war was never known” about the Aztecs, out of all the indigenous peoples of the Americas, is pretty ridiculous. However, the song came out at a time when historians were beginning to teach a revised version of the interaction between European settlers and Native Americans, and if Neil Young swung the narrative too far in the other direction, it’s understandable. However, consider that just saying “Cortez, Cortez…what a killer” was enough to apparently get this song banned in Spain during the 70’s, and that part was true. In the end, I’d just say to those critics to get over themselves and enjoy the true beauty of the song, and let the guitars wash over you. You know how I mentioned above how it was “an amazing feat” for Neil Young and Crazy Horse to keep the listener’s attention for over seven minutes simply by the beauty of the guitar solos? Think how impressive it would be to do the same thing, except for twenty minutes. That’s what Built to Spill was able to accomplish, as recorded on their Live album. Over the years, Built to Spill has been known to play several covers and do an outstanding job on each of them, ranging from classic rock staple “Don’t Fear the Reaper” to M.I.A.’s “Paper Planes”. I remember seeing a particularly impressive version of The Smith’s “How Soon Is Now?”, with the band able to perfectly nail that distinctive effect for the guitar. But there may not have been a finer cover than their version of “Cortez”, which still amazes me to this day. Doug Martsch is a fair match for Neil Young’s distinctive whine, and that’s without even an attempt at imitation; Martsch’s vocals also carry an additional fragility or vulnerability, which helps bring out the beauty of the song even more. The astonishing thing about their cover is that at no point when listening does it ever feel like “this is a twenty minute song”; it sounds like it takes roughly around the same time as the original, even when you’re listening to several rounds of solos at the end. And man, those solos…each separate round is able to offer new variations on the well-known melody without sounding repetitive, and able to galvanize the listener without showboating or grandstanding. The solos keep building and building, and then reach a glorious climax, before slowly receding into the ether, because you have to take some time to calm yourself after witnessing such beauty. It’s also way tougher to do than just fading out like the original did, though to be fair, that was apparently due to a lack of tape. The point is, if you have nothing to do for the next half hour, listen to these two versions. You can thank me later.